I love YouTube for listening to music I don't already have on my phone or in my iTunes library, but there is one very simple thing that you think they would've figured out by now—the ability to have your video continue to play outside of the app! While I understand the point of creating a video is for people to watch it, having the option to just focus on the listening part should be available. As a matter of fact, I think it's downright offensive to assume that watching is so much more valuable than hearing. Yup...that's the stance I'm taking until YouTube videos can be played outside of the app itself on my iPhone. But, there is a solution for you guys with Android devices. 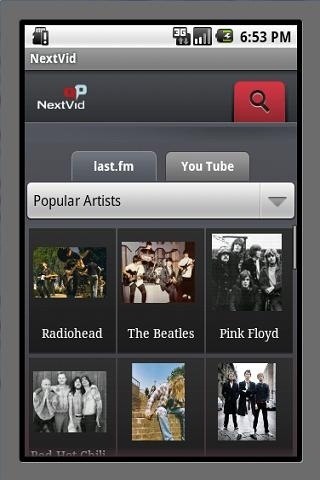 It's called NextVid and is available for download in the Google Play Store. 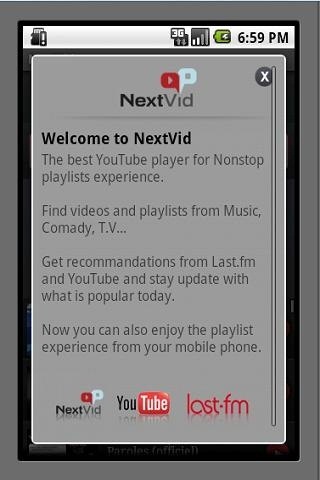 NextVid is a free and ad-free application that lets users create playlists, search for songs on YouTube, and even import playlists from their YouTube accounts. If you use last.fm, you can also search their music library. This is a great app for people looking for a way to play YouTube videos while browsing the internet or playing Angry Birds. But make sure to take note how much you are using the app if you're not on a wireless connection. Since the videos still load in the background, the app may eat up more data than simply streaming a song via Pandora or Spotify would. If anyone knows of a similar app for iPhone, but sure to let us know in the comments below. for iphone users i recommend playTube. it caches videos plays in background it's great! If you are playing a video on you tube, hit the home button, then slide your finger up from the bottom of the screen to open the quick settings, there will be a play button you can push that will start the youtube audio in the background! iOS has had this feature since they first introduced multitasking years ago.